Kulfi reminds me of my Childhood days, when we used to have it every summer season in our outings or picnics. Kulfi remains a hot Favorite with people living in UP, and I am no exception as my childhood is spent in Allahabad, I remember, It would be served over earthen vessels with faluda and our neighborhood Kulfiwalla would come with his cycles or Tellah ( a hand Pulled Cart) and a large earthen vessels where he would insert his hand and take out Kulfi moulds and serve us., Gone are the those Carefree days , an innocent indulgence and childhood fantasies .These days we go to Haldiram to have our kulfis , My Hubby and Little one like eating it a lot .So, thought of making it in home , It took me three attempts to please their taste buds , so I worked constantly to satisfy their taste buds , Kena Moton hoye ni is what I would have to listen every time I made this , I took it as a challemge and here I am with this recipe .Kulfi making is a little bit time consuming job, one thing which is important is reducing the milk to Half or making the milk thicken , this is the basic thing that should be kept in mind .I have tried adding Corn flour to the Milk to get even thickened milk , but the result was not satisfactory to both my expert kulfi tasters , however this time I added condensed milk and wow! It worked great. 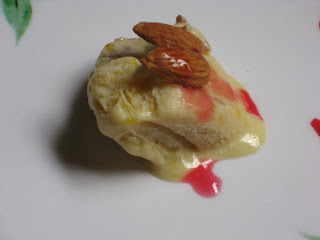 I have added mango pulp and fine pieces of almonds to give a distinct flavor , the aroma of mango and the crunchiness of almonds make this Kulfi very intriguing . 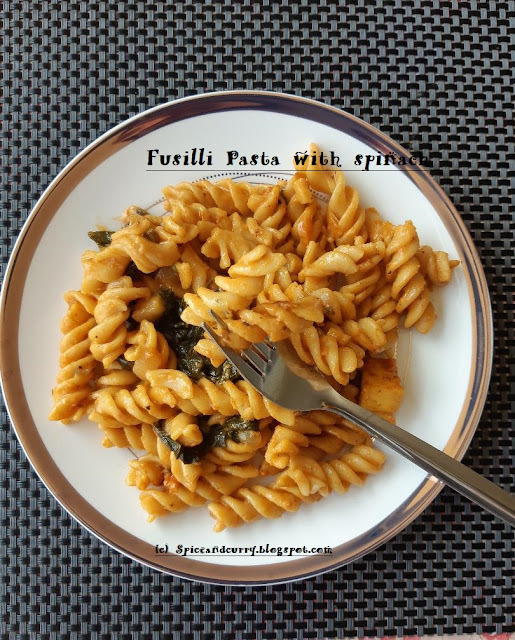 This turn out a hit with my Family .They gave this recipe a 4 star verdict ,even my little one kept asking me to give her more , a great satisfaction for a mother of picky eater . Bring the milk, cardamom and cream mixture to boil , now quickly lower the flame and cook until the milk is reduced to half , stiring in between .It would take about 15 mints or so . Add condensed milk, At the time of adding condensed milk lower the flame and let the mixture thicken a little more.At this point check the sweetness,TIP- since the condensed milk is sweet , there is no need to add further sugar , However if you do feel sweetness is less add 2 tbs of sugar, I have added that much of sugar and it worked fine for me. take out and cool the milk mixture. Now pound the almonds, this is very interesting , Take a news papper , place some almonds in between and fold the paper, now with the help of Rolling Pin(Belna) , crush the almonds, I simply love doing it as there is no need to ground almonds in mixer. Add crushed pieces of almonds to it and also the mango pulp. Do this step when milk is cooled. Shift them in Kulfi moulds and freeze .It will take 8-9 hrs for proper Kulfi setting, I got liitle impatient and took out the kulfi when it was not set properly.That was like Pic second kind of Melting Moments LOL. Be Patient and its better to eat them the next day. TIP-When serving just dip them in hot water. It helps easy slide to the serving Plate. Serve them with Mango chunks. This Kulfi remains fresh for 4-5 Days provided stored in deep fridge . Monthly Mingle -Mango Mania . The mango on the side is just perfect...looks heavenly. ya even whenever I see this pic , it makes me drooling , today I made it again LOL..
ya its Roohafza again LOL..I am kind of so addicted to it ..you dont have to add it while making kulfi.These are only serving suggestion ..LOL..
Hi Jaya, thanks a lot for stopping by my blog and my apoligies for only now getting around to you. Thanks for stopping by my blog.. The kulfi really looks yum and so does the presentation.. Hope to see each other often..
welcome to my small world , thanks for stoping by . 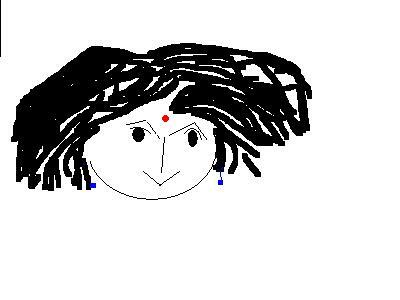 warm welcome and definitely will see each other more ..
thanks for stoping by and I am Glad you liked the Kulfi Recipe . 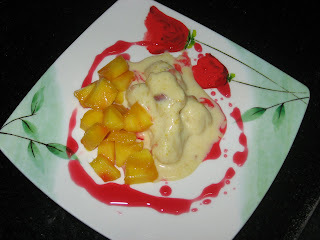 So mango season is on and there are mango dishes around the blog. Very nice mango kulfi and mouth watering. Your mango kulfi is so tempting!! Lovely pictures.I am going to make it for the holidays when my kids will be at home. I'll be sure that it will be big hit for kids.thank you for shearing your post. thank you for stoping by and do try and let me know how it turn out ..